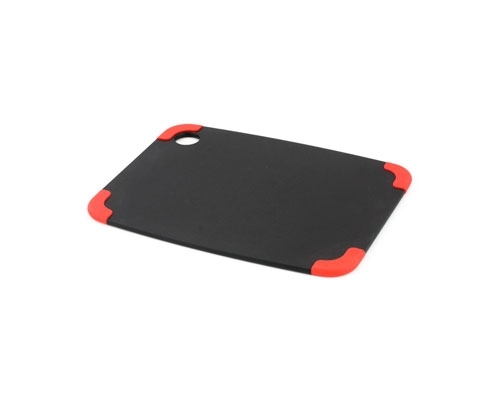 The Epicurean Gripper 15 x 11 in. 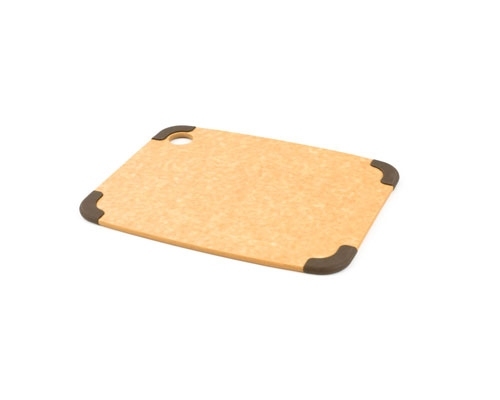 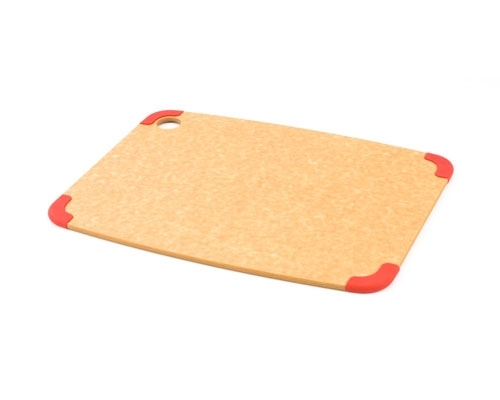 Natural/Red Board is a great all purpose cutting board. Just drop it on the counter and they stay put because of the soft silicone corners. 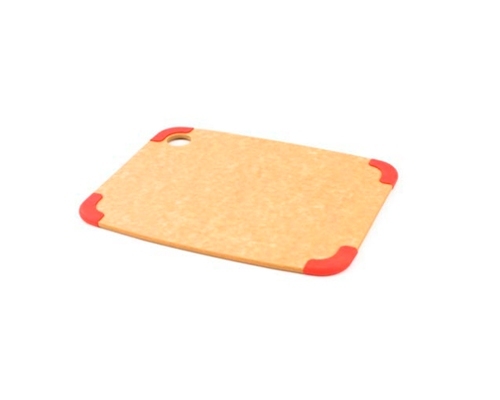 I use one side for processing meats, flip it over for my vegetables, then toss it in the dishwasher. Knife friendly surface.